Hello! Another weekend has zoomed by at a phenomenal rate. I'm still working on my 32 card special order. Only 2 cards to go which I hope to be able to get done tomorrow. 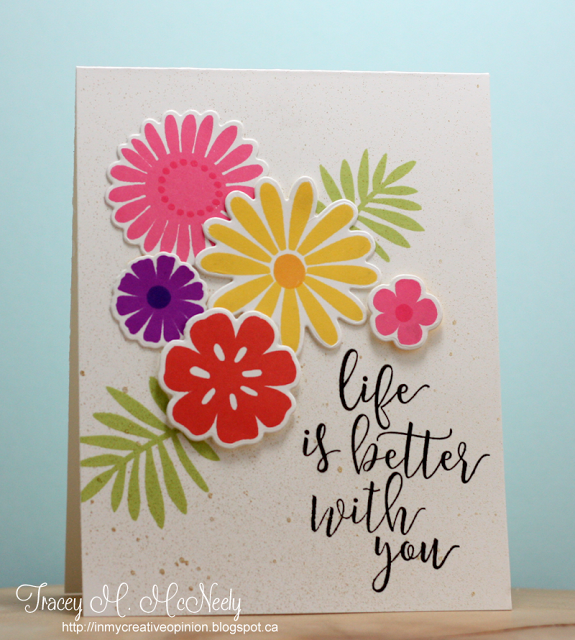 I needed to take a break from those so I played along with Tracey McNeely's card over at Muse. 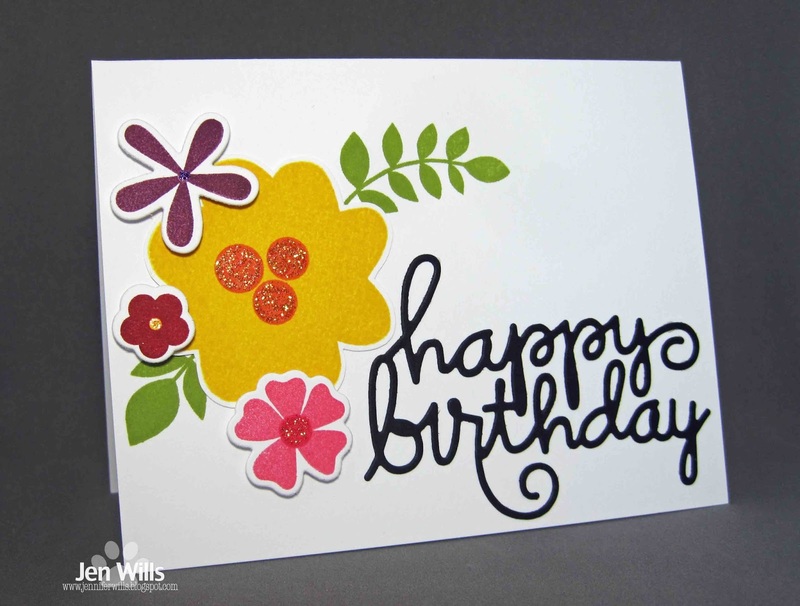 I stuck pretty close to her inspiration - big sentiment, stamped leaves and die cut flowers in bright colours. 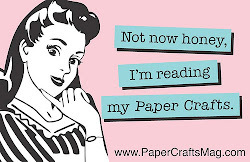 All of my stamps and dies are Paper Smooches. I love that big Happy Birthday die! I broke out some Stickles for the centre of the flowers. Stickles are one of those products that I tend to forget about because they're tucked away in a drawer but this recent video from Therese Calvird reminded me to pull them out and give them some love. 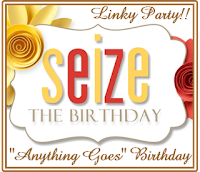 :) Seize the Birthday is having an Anything Goes challenge so I am going to play along with them as well. I love this...and you are reminding me to get that die out. I love it too! 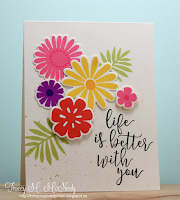 Jen I love those Paper Smooches blooms stamped in bright colours. The scripty happy birthday die in a fantastic compliment and the icing on the cake is the Stickles centre! Thank you so much for sharing with us at Muse this week! This is so pretty, Jen! Amazeballs! You got this chicks vote! Pretty card Jen! Thanks for joining us over at Seize the Birthday and we hope to see you again soon! Pretty card. Love the big sentiment. Thanks so much for joining us at Seize the Birthday.